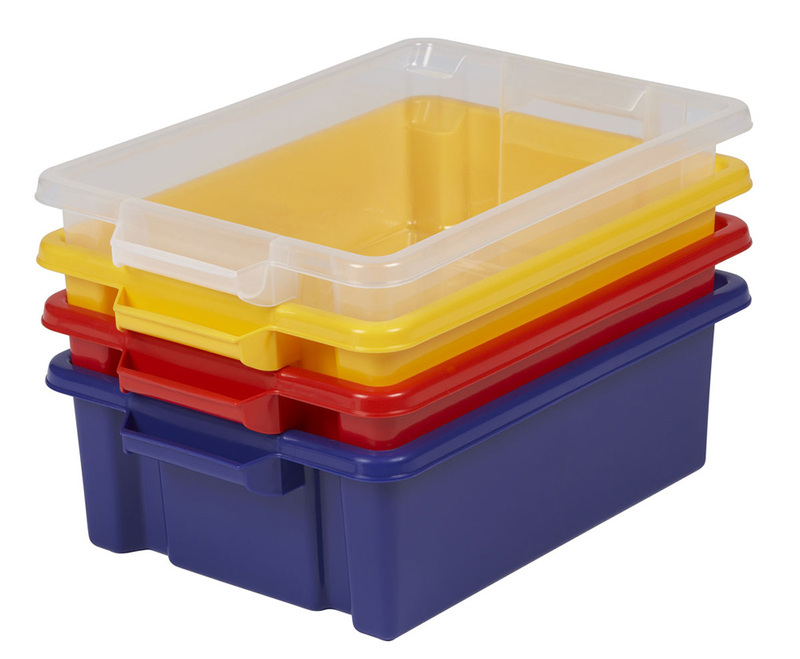 The shallow strata school trays are supplied in packs of 24 and are available in 4 vibrant colours including - red, blue, clear and yellow. Designed to withstand the rigours of daily use in any nursery or classroom. Please note: the shallow strata trays are for use with the Budget Range Tray Storage Units only. For more information please Contact Us or call us on 01733 511121.